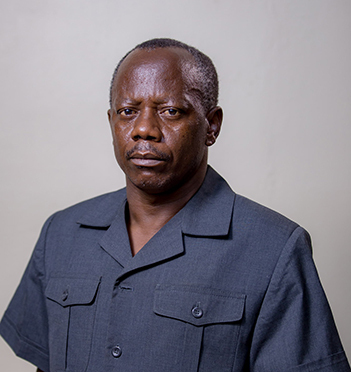 Professor Loth S. Mulungu worked extensively investiating various pest species’ ecology, conservation and management. Is an author of over eighty papers in refereed scientific journals and books, and have made many contributions to symposia, conference proceedings and international scientific meetings on rodent biology, ecology and management. Sokoine University 1991– 1994 B.Sc. Agriculture . My research interest is in pest management and Ecology for both invertebrates and vertebrate pests. Generally, pests cause serious agricultural and health problems for people. Studying the ecology and biology of pests can lead to significant improvements in the way we/farmers manage pests. Ecologically-based rodent management (EBRM) and Integrated Pest Management (IPM) are increasingly seen as more sustainable, both economically and environmentally, than the traditional use of synthetic poisons. One of the big problems in developing better pest management strategies is to understand their true impact on people’s livelihoods. Although many farmers will understand that many pest species have problems and damage their field crops, stored food and personal possessions, awareness among farmers about the level and scope of damage is often underestimated. As an expert, researcher and a trainer academician at Sokoine University of Agriculture, I have worked extensively investigating various pest species’ ecology, conservation and management. I am the author of over ninety papers in refereed scientific journals and books, and have made many contributions to symposia, conference proceedings and international scientific meetings. Ecologically-Based Rodent Management for Sustainable Agriculture and Food Security in Africa (EcoRodMan) – Funded by African Union, Project Team Member. Capacity building in rodent research: Ecology, biodiversity and taxonomy of the rodent fauna of Tanzania (1998 – 2007). Funded by the Belgian Government through the SUA VLIR Programme. Project Team member. 1.Mulungu, L.S., Mchukya, B., L. Mnyone (Accepted) Trap barrier system (TBS) as a new tool for rodent pest management in irrigated rice in Africa. BOO Chapter. Pests – Insects, Management, Control. ISBN 978-953-51-7012-9. 3. Loth S. Mulungu (2017) Chapter 15: Control of rodent pests in maize cultivation: the case of Africa. In: Achieving sustainable maize cultivation Vol.2 (ed. Dr Dave Watson). Francis Dodds, Burleigh Dodds Science Publishing. http://dx.doi.org/10.199103/AS.2016.0002.18. P.R. Brown, B. Douangboupha, N.M. Htwe, J. Jacob, L. Mulungu, N.T. My Phung, G.R. Singleton, A. M. Stuart, and Sudarmaji (2017) Chapter 13: Control of rodent pests in rice cultivation. In: Achieving sustainable rice cultivation, Part 3: Rice pests and diseases. Francis Dodds, Burleigh Dodds Science Publishing. 343-376 pp. http://dx.doi.org/10.19103/AS.2016.0003.24. Loth S. Mulungu, V. Ngowo, M. Mdangi, A.S. Katakweba, P. Tesha, F.P. Mrosso, M.
J.K, M.M. Mwendo, M.E. Mdangi & L.
Mulungu, L.S., C.A. Sabuni, V.
Proches Hieronimo, Hubert Gulinck, Didas N. Kimaro, Loth S. Mulungu, Nganga I. Kihupi, Balthazar M. Msanya, Herwig Leirs and Jozef A. Deckers (2014) Human activity spaces and plague risks in three contrasting landscapes, Lushoto district, Tanzania. Tanzania Journal of Health Research, Doi: http://dx.doi.org/10.4314/thrb.v16i3.2, 16(3). Joel L. Meliyo, Didas N. Kimaro, Balthazar M. Msanya, Loth S. Mulungu, Proches Hieronimo, Nganga Kihupi, Hubert Gulinck and Jozef A. Deckers (2014) Predicting small mammals and fleas abundance using landform and soil properties in a plague endemic area, Lushoto District, Tanzania. Tanzania Journal of Health Research, Doi: http://dx.doi.org/10.4314/thrb.v16i3.3, 16(3). Njaka A. Ralazafisoloarivyony, Didas N. Kimaro, Nganga I. Kihupi, Loth S. Mulungu, Herwig Leirs, Balthazar M. Msanya, Jozef A. Deckers and Hubert Gulinck (2014) Small mammals distribution and diversity in endemic plague area in West Usambara Mountains, Tanzania. Tanzania Journal of Health Research, Doi: http://dx.doi.org/10.4314/thrb.v16i3.4, 16(3). Joel L. Meliyo, Boniface H.J. Massawe, Balthazar M. Msanya, Didas N. Kimaro, Proches Hieronimo, Loth S. Mulungu, Nganga I. Kihupi, Jozef A. Deckers, Hubert Gulinck and Herwig Leirs (2014) Landform and surface attributes for prediction of rodent burrows in the West Usambara Mountains, Tanzania. Tanzania Journal of Health Research, Doi: http://dx.doi.org/10.4314/thrb.v16i3.5, 16(3). Njaka A. Ralaizafisoloarivony, Didas N. Kimaro, Nganga I. Kihupi, Loth S. Mulungu, Herwig Leirs, Balthazar M. Msanya, Jozef A. Deckers and Hubert Gulinck (2014) Vegetation habitats and small mammals in a plague endemic area in Western Usambara Mountains, Tanzania. Tanzania Journal of Health Research, Doi: http://dx.doi.org/10.4314/thrb.v16i3.6, 16(3). Proches Hieronimo, Joel Meliyo, Hubert Gulinck, Didas N. Kimaro, Loth S. Mulungu, Nganga I. Kihupi, Balthazar M. Msanya, Herwig Leirs and Jozef A. Deckers (2014). Integrating land cover and terrain characteristics to explain Plague Risks in West Usambara Mountains, Tanzania: a geospatial approach. Tanzania Journal of Health Research, Doi: http://dx.doi.org/10.4314/thrb.v16i3.7, 16(3). Proches Hieronimo, Didas N. Kimaro, Nganga I. Kihupi, Hubert Gulinck, Loth S. Mulungu, Balthazar B. Msanya, Herwig Leirs, JoZef A. Deckers (2014) Land use determinants of small mammal abundance and distribution in a plague endemic area of Lushoto district, Tanzania. Tanzania Journal of Health Research, Doi: http://dx.doi.org/10.4314/thrb.v16i3.8, 16(3). Proches Hieronimo, Nganga I. Kihupi, Didas N. Kimaro, Hubert Gulinck, Loth S. Mulungu, Balthazar M. Msanya, Herwig Leirs and JoZef A. Deckers (2014) Contribution of land use to rodent flea load distribution in the plague endemic area of Lushoto District, Tanzania. Tanzania Journal of Health Research, Doi: http://dx.doi.org/10.4314/thrb.v16i3.10, 16(3). Georgies F. Mgode, Abdul S. Katakweba, Ginethon G. Mhamphi, Frank Fwalo, Mohamed Bahari, Mashaka Mdangi, Bukheti S. Kilonzo and Loth S. Mulungu (2014) Prevalence of leptospirosis and toxoplasmosis: A study of rodents and shrews in cultivated and fallow land, Morogoro rural district, Tanzania. Tanzania Journal of Health Research, http://dx.doi.org/10.4314/thrb.v16i3.11, 16(3). L. S. Mulungu, M. R. Jilala, M. W. Mwatawala and J. K. Mwalilino (2011) Assesment of damage due to Larger Grain Borer (Prostephanus truncatus Horn) on Stored Paddy Rice (Oryza Sativa L. (Poaceae)). Journal of Entomology: 8(3): 295-300. S. Mulungu; Ngowo, V.H. R.H. Makundi, A.W. Massawe and Leirs, H. (2010) Winning the Fight against Rodent Pest: Recent Developments in Tanzania. Journal of Biological Sciences, 10(4): 333-340. Belmain, S.R., Dlamini, N., Eiseb. S., Kirsten, F., Mahlaba, T., Makundi, R., Malebane, P., Maltitz, E. Von, Massawe, A., Monadjem. , Mulungu, L., Siwiya, E., Taylor, P., and Tutjavi, V. (2008) The ECORAT Project: Developing Ecologically-Based Rodent Management for the Southern African Region. International Pest Control. 50(3):136-138. Mulungu, Loth S.; Makundi, Rhodes H.; Leirs, Herwig; Massawe, Apia, W.; Vibe-Petersen, Solveig; and Stenseth, Nils.C. (2003) The Rodent Density – Damage Function in Maize Fields at Early Growth Stage. Pp 301 – 303. In: Singleton, G.R. ; Hinds, L.A., Krebs, C.J. ; and Spratt, D.M. (Eds.) Rats, Mice and People: Rodent Biology and Management. ACIAR Monograph No. 96, 564 Pp. Mulungu, Loth S.; Makundi, Rhodes H. and Leirs, Herwig (2003) Robustness of Techniques for Estimating Rat Damage and Yield Loss in Maize Fields. Pp 224 – 228. In: Singleton, G.R. ; Hinds, L.A., Krebs, C.J. ; and Spratt, D.M. (Eds.) Rats, Mice and People: Rodent Biology and Management. ACIAR Monograph No. 96, 564 Pp. Ngowo, V.; Lodal, J.; Mulungu, Loth S.; Leirs, H.; Makundi, R.H.; and Massawe, Apia, W. (2003) Evaluation of Thiram and Cinnamamide as Potential Repellents against Maize Seed Depredation in the Field by the Multimammate Rat, Mastomys natalensis , in Tanzania. Pp 260 – 261. In: Singleton, G.R. ; Hinds, L. A., Krebs, C.J. ; and Spratt, D.M. (Eds.) Rats, Mice and People: Rodent Biology and Management. ACIAR Monograph No. 96, 564 Pp. Mulungu, S., S.O.W.M. Reuben, Susan Nchimbi-Msolla, R.N. Misangu, L.B. Mbilinyi and M.M. Macha (1998) Performance of nine Exotic and Local Onion (Allium cepa L.) Genotypes Grown Under a Dry Season Tropical Condition at Morogoro, Tanzania: 1: Yield and Its Components. South African Journal of Science, 94: 451- 454. O.W.M. Reuben; L.S. Mulungu, Susan Nchimbi-Msolla, R.N. Misangu, L.B. Mbilinyi and M.M. Macha. (1998) Performance of nine Exotic and Local Onion (Allium cepa L.) Genotypes Grown Under a Dry Season Tropical Condition at Morogoro Tanzania: 2. Path Coefficient Analysis. South African Journal of Science, 94: 454 – 456. Manyama,. A.A.A, S.O.W.M. Reuben, and S. Mulungu (1995) Inventory and Identification of local banana cultivars of Zanzibar Island. Meeting farmers' needs through agricultural research. In: Proceedings of the first Faculty of Agriculture Annual Research Conference held at the Institute of Continuing Education, Sokoine University of Agriculture, Tanzania: 28 th -30 August, 1995 (Eds. Dr. A.Z. Mattee, Prof. K.P. Sibuga, Prof. J.M.R. Semoka and Mr. Tsunoda), pp 235 – 244. Reuben S.O.W.M., A.A.A. Manyama, H. Lyimo, S. Mulungu and L.B. Mbilinyi (1995) Tomato (Lycopersicon esuclentum Mill) Improvement at the Sokoine University of Agriculture, (SUA) Morogoro. Meeting Farmers' Needs through Agricultural Research. In: Proceedings of the first Faculty of Agriculture Annual Research Conference held at the Institute of Continuing Education,, Sokoine University of Agriculture, Tanzania 28 th -30 th August, 1995 (Eds: Dr. A.Z. Mattee, Prof. K.P. Sibuga, Prof. J.M.R. Semoka and Mr. M. Tsunoda), pp 124. B. Mbilinyi, Ted Carey, M.J. Muhannah, F.J. Senkondo, L.S. Mulungu and S.O.W.M. Reuben (1997) The influence of time and method of harvesting on five sweet potato (Ipomoea batatas) cultivars. In: 4 th Triennial Congress of the African Potato Association, Pretoria, South Africa 23-28th February 1997, 4: 120 – 130. OW.M. Reuben., L.S. Mulungu ., M. Macha, L.B. Mbilinyi, Susan Nchmbi-Msolla, R.N. Misangu and J. Godwin (1998) Paths of influence among components of yield in the determinate and indeterminate tomato (Lycopersicon esculentum L.) varieties. Promotion of Agriculture Production in Tanzania. In: Proceeding of Third Faculty of Agric. Annual Scientific Research Conference Sokoine University of Agriculture Morogoro, Tanzania 6-8 May 1998 (Eds. J. kinabo, G.kifaro, A.Temu & S.Mbaga), pp 46 – 53. B. Mbilinyi, J.F. Senkondo, S.OW.M. Reuben, L.S. Mulungu., Susan Nchmbi-Msolla, R.N. Misangu and H.O. Kiozya (1998) The influence of time and method of harvesting on the incidence, severity and time of Sweet potato weevil (Cylas puncticollis). Promotion of Agriculture Production in Tanzania. In: Proceeding of Third Faculty of Agric. Annual Scientific Research Conference Sokoine University of Agriculture Morogoro, Tanzania 6-8 May 1998 (Eds. J. kinabo, G. kifaro, A. Temu & S.Mbaga), pp 6 – 13. Rweyemamu, C.L. ; K.P. Sibuga, and S. Mulungu (1998) Mulch effects on soil properties, weed infestation and tomato (Lycopersicon esculentum Mill.) yield in Morogoro. Promotion of Agriculture Production in Tanzania. In: Proceeding of Third Faculty of Agric. Annual Scientific Research Conference Sokoine University of Agriculture Morogoro, Tanzania 6-8 May 1998 (Eds. J. kinabo, G. kifaro, A. Temu & S. Mbaga), pp 14 – 21. S. Mulungu & A.J.P. Tarimo (1998) Effects of seedbed type on yield and yield components of Common beans (Phaseolus vulgaris L.). Promotion of Agriculture Production in Tanzanian. In: Proceeding of Third Faculty of Agric. Annual Scientific Research Conference Sokoine University of Agriculture Morogoro, Tanzania 6-8 May (Eds. J. kinabo, G. kifaro, A. Temu & S. Mbaga), pp 31 – 36. Vibe-Petersen, S.; Leirs, H.; Debruyn, L. and Mulungu, L.S. (2001) The effect of different predation pressure on the population dynamic of Mastomys natalensis and subsequent effect on crop damage and yield. 8th International Theriological Congress, Sun City, South Africa. Verheyen, E., Dillen, M., Colyn, M., Mulungu, L.S., Oguge, N., Leirs, H. and Verheyen, W. (2004) Mitochondrial DNA sequences reveal an unexpected high taxonomic biodiversity in the African thicket rat genus Grammomys (Muridae). 5th International Symposium on Tropical Biology, Museum Koenig, Bonn, Germany, “African Biodiversity – Molecules, Organisms, Ecosystems" 2 – 6 May 2004. Vicent Sluydts, Victoria Ngowo, Eustace Mshuza, Loth S. Mulungu, Christopher Sabuni, Rhodes H. Makundi, & Herwig Leirs (2006). Bio-economic modeling in practice: A field experiment and a farmer participatory research. 3rd International Conference on Rodent Biology and Management. Held Hanoi, Vietnam, 28 August – 1 September 2006. Mulungu, L.S., Longoi, A.M., Reuben, S.W.O.M., Ishengoma, C.G., Msolla, N.S., Maerere, A.P., Njau, P.J., Ashimogo, G.C., T. Tiisekwa, Z.A.K. Mvena and H.S. Laswai (2006) Field efficacy of botanical pesticides against tomato mosaic virus on two tomato (Lycopersicon esculentum ) commercial cultivars. In: Proceeding of the First Annual PANTIL Research workshop held in Morogoro, Tanzania 25-27 September, 2006 (Eds. L.D.B. kinabo & W.S. Abel), pp 190 – 196. Rwezaula, G.J., Mulungu, L.S., L. Mpinga, Reuben, S.W.O.M., Ishengoma, C.G., Msolla, N.S., Maerere, A.P., Njau, P.J., Ashimogo, G.C., T. Tiisekwa, Z.A.K. Mvena and H.S. Laswai (2006) Assessment of varietal and organic mulches effects on field performance of tomato (Lycopersicon esculentum ) commercial cultivars. In: Proceeding of the First Annual PANTIL Research workshop held in Morogoro, Tanzania 25-27 September, 2006 (Eds. L.D.B. kinabo & W.S. Abel), pp 180 – 189. 4. Mchukya, Mathias Bernard. MSc. Title: Trap barrier system as a rodent management tool in irrigated rice fields. Dissertation submitted for review. of black and white colobus monkey in Kigurunyembe riverine Forest, B.Sc. incomtus and Mastomys natalensis (Smith 1834) in Morogoro, Tanzania. B.Sc. and Distribution of Small mammals in Different Elevation at Mountain Mindu, B.Sc. Mammals in Different Habitat Types in Kimboza Lowland Forest Reserve, B.Sc. Pesticidal Plants for Controlling Rodent Pests, B.Sc. Agric. stored maize grains against larger grain borer (Prostephanus truncatus (Horn)). Types on Yield and Yield Components of Common Beans (Phaseolus vulgaris L.). esculentum Mill) Cultivars for Yield and Yield Components. B.Sc. Geofrey (2005) Evaluation of Four Botanicals for Maize Storage Pest Control.